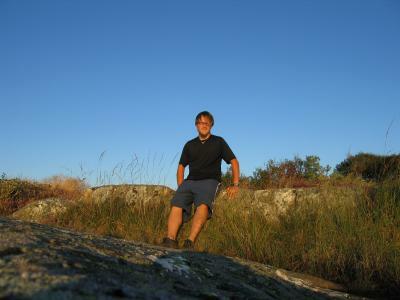 first day of cycling through sweden. 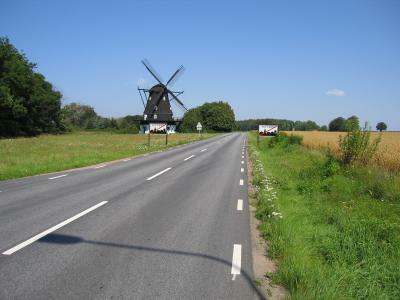 these windmills were prevalent when close to denmark but as i got farther in they disappeared. 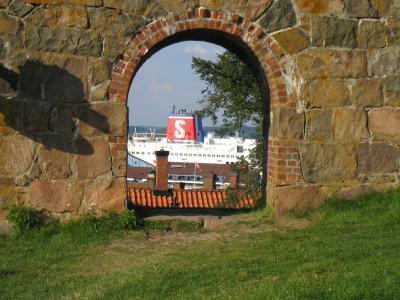 a ship waiting in the port as seen through an archway in the varberg fortress in varberg, sweden. 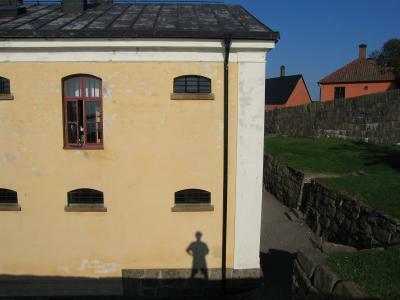 in varberg i stayed in the fortress in a hostel that was built in the old prison. 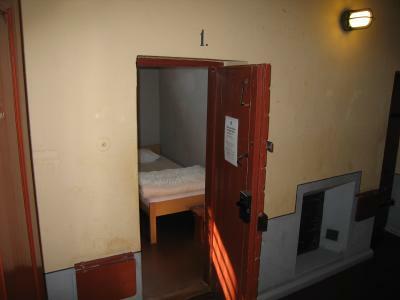 here is the door to my cell. 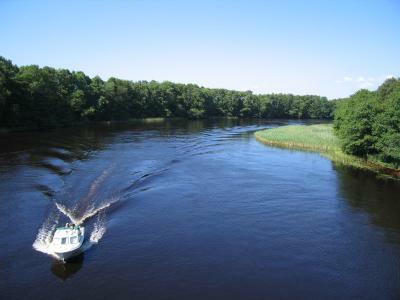 just outside halmstad, sweden a captain rides his boat down the river. the swedish countryside is full of farms. 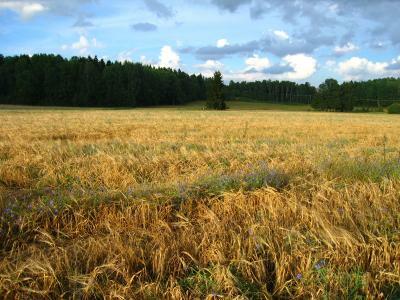 of particular beauty are the golden barley crops which share the field with powder-blue flowers. my favorite picture so far? could be. all over europe they have these mirrors on blind corners so people can see other cars coming. i use them to take pictures of myself while on the bike. 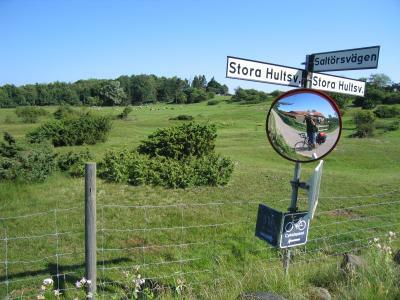 look closely and you can see me on my ride on the road to molle, sweden. 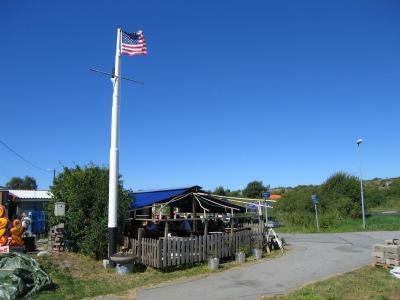 enjoying the sunny skies on the island of styrso off the coast of gothenburg, sweden. 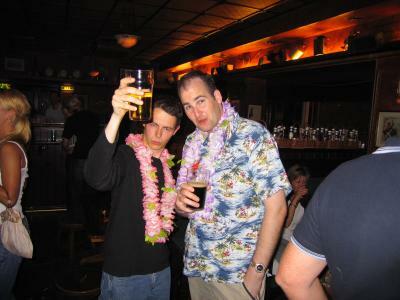 alan from ireland on the left, tony from new zealand on the right, wearing leis and enjoying a few beverages in gothenburg, sweden. i was happy to meet these guys in the hostel in gothenburg after spending so much time alone while cycling.